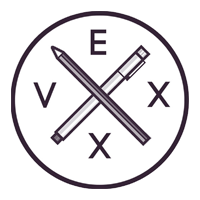 Vexx has got to be the youngest guest designer who has ever worked for CaseCompany. At only 19 years old, Vince Okerman (Vexx’s real name) is a real up-and-comer. That doesn’t mean he’s too young to stand his ground in the world of graphic design though! Vexx’s style is the epitome of uniqueness. First he comes up with a sketch or drawing of a realistic model or situation. Then he adds bright colours to the mix, resulting in a spectacular contrast between the real world and the world of cartoons. But there’s more! If you take a look at Vexx’s Instagram account (highly recommended by the way! ), you’ll see that his cartoons are reworked into realistic designs as well. Only when you look very closely will you see that his realistic designs are actually made of small cartoon sketches. It’s a perfect mix of reality and fiction. They’re almost indistinguishable from one another. And that’s exactly what Vexx does so well! Go ahead and take a look, perhaps you’ll end up with a smartphone case decorated with a colourful ice cream or a penguin made up of tiny cartoons! Because it doesn’t always have to be so serious, right?